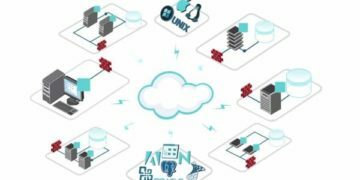 The advanced new capabilities of this solution include tightened SaaS data backup and recovery security, better control and more, which makes data protection easier and faster, according to the company. The new version also reportedly integrates with security systems better than its predecessor. “We’ve relied on OwnBackup for almost two years, and it has paid for itself many times over. Having the tool in place gives us peace of mind that we can quickly restore from a data disaster, and we look forward to using the latest version for other business needs as well. The new compare feature is amazing for managing sandboxes, and the data alerts feature is a proactive way to monitor data health,” Salesforce Administrator at Axon Enterprise Inc George Davis said. Advanced Key Management: Users may now add an extra layer of protection by generating their own encryption keys for use on their data. New keys may be rotated as frequently as required by their own security policies. Activate OwnBackup services automatically from apps: A new OwnBackup API enables users to integrate the OwnBackup service directly for automatic operations such as backup on-demand, export and download data, access audit logs, and check backup statuses. Filter and find the right data to restore faster: OwnBackup’s new consolidated Restore tool brings together all recovery capabilities, enabling users to restore multiple objects, and their related records, in a single operation. Deeper recovery and iterative refine-and-preview capabilities, including query-based filtering and alerts, enhance the user experience, especially under pressure. Pinpoint corruption faster and audit data over time with field-level Compare: Easily isolate changes to specific fields with advanced filter options and drill-down comparison of previous to current data values. Search within attachment contents: Users gain a new capability that allows them to search within the content of attachments. Users can now search for keywords within PDFs, MS Word® documents, MS Excel® files and other attached file types. Better meet compliance and reporting requirements: The new OwnBackup Reports Dashboard helps users more easily meet compliance and reporting requirements with comprehensive, consolidated online reporting, available by custom date ranges. Create the Perfect Test Data set: This release also enhances filtering and performance features in the OwnBackup Sandbox Seeding product to further accelerate development and QA cycles. Easily accomplish data protection tasks: Consolidated features and functions, and the enhanced look and feel of the new OwnBackup User Interface makes it easier for data protection specialists to do their job. “Today’s organizations face a never-ending barrage of data threats. We care deeply about protecting our customers’ data, so we continuously add new capabilities to our service that help them manage and protect their data with greater ease, speed and security,” said OwnBackup CEO Sam Gutmann. Previous Previous post: What’s the Difference Between Backup and Disaster Recovery Anyway?